As a tile mechanic I’m always up and down unfortunately and I was constantly getting the cracks in the front of my boots followed by glue and the whole process. Spending money gets fing old these wedge construction style is the only way to go 2 years it’s lasted two years more than the heavy priced boots. I refuse to pay over 150 anymore so these were right around my limit tried and true. BAC tested. Thanks. The fit is true and comfortable with a little heavier socks. Like the boot didn't realize it was soft sole boot. 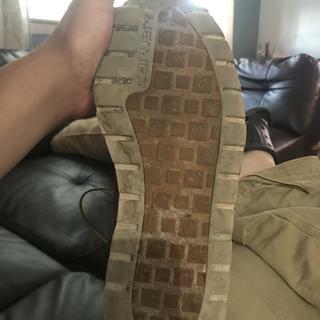 First break in used a shovel to dig and the sole was cut all up and they were brand new. More of a supervisors boot not a working mans Boot. We're sorry this did not meet your expectations. Please contact us at 1 800 833 3118 if you need any assistance. Are these all REAL reviews?? All these reviews for these boots can't be real. I bought these boots a week before thanksgiving and it's now early Feb. The bottoms are almlst completely worn out, the white one the base is cracking, 2 of the high lace wraps have broken to the stubs, the padding insole is uncomfortable and finally my little toes run up against the steel in the steel toe making it raw. I walk all day on finished concrete, nothing too rough at all. 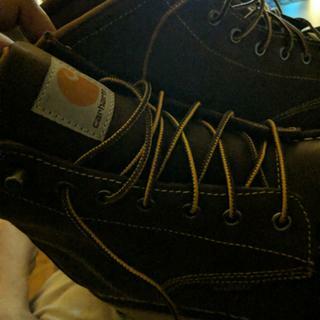 I expected a lot more from carhartt, but their boots are garbage. They aren't even truly made by carhartt, just FOR carhartt. We're sorry to hear you've had such a bad experience with these boots. Please contact us at 1 800 833 3118 so we can look into your concerns. I bought a pair and loved them but after about 2 weeks i thought a mouse or cat peed in my boots. i sprayed white vinegar and they still smelled horrible like Pee. i then bought another brand. Problem Solved. 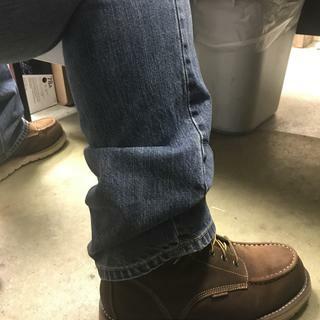 My co-worker has now the same problem after buying these exact boots! Would never recommend them. We're sorry to hear of this issue and have forwarded your input internally. Please feel free to contact us at 1 800 833 3118 if you need further assistance. I like these boots very much. Ordered 10.5 regular fits perfect. After the week or so took to break them in they fit great now. Working in the Colorado cold they keep my feet dry and somewhat warm to boot. We appreciate your comments and have forwarded this to our product team. How much do they weigh in a size 9.5? BEST ANSWER: This size will weight 4.515 pounds for the pair of size 9,5 Medium width. BEST ANSWER: Terrible after about a month. I work on clean concrete and my feel began sliding after a month. Perfect for walking on snow. Do these run big, I bought my size but they feel real loose? BEST ANSWER: These will be true to size. They do run a little bit big, but not so much that I would feel confident ordering down - might be too small. My husband wears thick work socks always and he didn't want to return them / now wears them every day. In my case, I’m a 10 1/2 D; and the Carhart boots were perfect. Though I’m keeping mine, returns look easy enough. Try switching yours for a size narrower—a C instead of a D, etc. Mine did not. Ordered same size as I wear in nike and they fit great. Do these boots keep your feet warm in winter? I’m a roofer and wedge boots are the best for roofing I’ve read in top roofing magazines, but don’t want my feet to get cold. Insulated boots are too bulky for roofing. Yeah. They are very warm. I work in 30-50 degree construction sites and haven’t had any problems with cold. 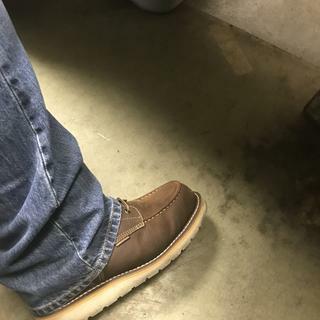 I work in a warehouse but for the most part they are pretty warm, and comfy best boot I ever had!! !